Steam Cat makes hats and other accessories, including flashy blinky stuff! Check out our gallery, follow us on Facebook and Instagram, and come see - and buy! Steam cat goods at local events or at the Etsy Store. 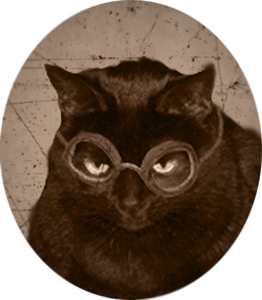 Who is the Steam Cat? It's Midnight, our cat. We also call her Geek Kitty, because she's always on hand when the printer starts running or we work on electronics. 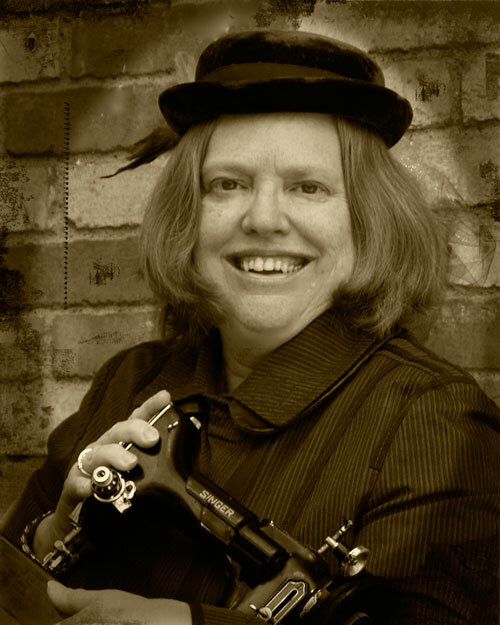 The human behind Steam Cat is Julie Barrett.